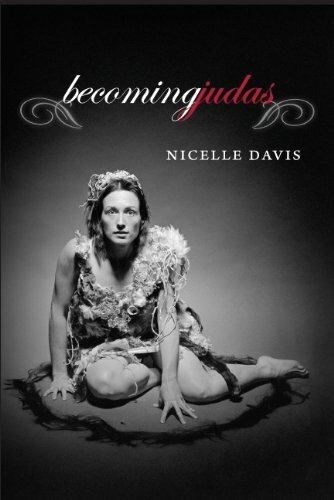 The second collection by Nicelle Davis, Becoming Judas, is an “elemental bible-diary-manifesto,” that weaves together Mormonism, Mamaism, Manson, Lennon, Kabbalah, and the lost Gospel of Judas into am ecstatic, searing meditation on raw religion. Nicelle Davis is a poet with an eye towards the spiritual. Loosely based on Davis’s upbringing in the back-room of a record store in Mormonville, Utah, this unexpected fusion becomes a “spontaneous combustion” of matter turning into energy. In these poems we encounter Jesus, Judas, YouTube, Joseph Smith, Hollywood, the Knights of Templar, Missouri, Utah, a prostitute, turnips, libraries, and God. Spirituality and faith eventually become, like Mallarme’s “Dice Thrown,” a game of chance: “I know only chance. My feet will / won’t hit ground.” Instead of choosing a faith based in the material world, which becomes a roll of the dice, Davis embraces the non-material of a pure energy: Let there be light. “Nicelle Davis weaves–as one of her religio-sacred-cosmos ‘spiders’ pokes–the elemental, mother-daughter, Judas-Jesus-Lennon substances, meta-histories and neo-gospels devouring us as we disintegrate and are reborn to love this grand body-bible-book.